“There are reasons to be encouraged … there’s a kind of moment around the issue of free speech”. In fact, the timing is crucial. Perhaps we’re at what A. C. Grayling called a “sewerage moment”, a reference to the mid-nineteenth century ‘great stink’ when Parliament was finally forced to confront a contamination by its arrival at its own front door. As a river running with cloaca precipitated the building of a network of sewers, will super-injunctions be the midwife of fairer libel laws? It’s not just an esoteric or academic issue. Tracey Brown of Sense About Science reminded us that libel chill in the UK affects many areas including human rights reporting, academic standards and medicinal research: as Edzard Ernst put it: “libel law has the potential to kill”. 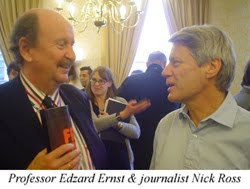 Nick Ross added: “It’s about bullying … done under a veneer of respectability and decency”. 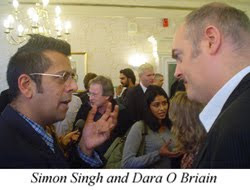 The campaign has the public support of many, including Stephen Fry, Yasmin Alibhai-Brown and Jonathan Ross. 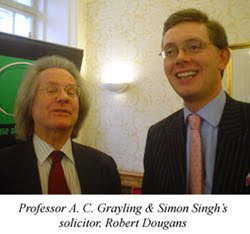 I spotted Dr. Raymond Tallis, Professor Edzard Ernst, Dr. Simon Singh, Professor Chris French, Professor Richard Wiseman and Professor A. C. Grayling for the academics. 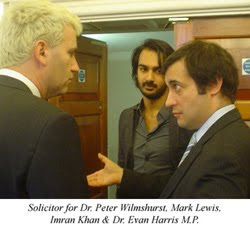 Dr. Evan Harris MP, a stalwart of evidence based-policy and major supporter of libel-law reform was there too. 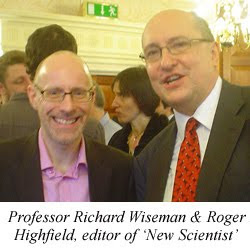 Journalists included Roger Highfield, editor of The New Scientist and Observer regular Nick Cohen. Legal types Mark Lewis, Robert Dougans and Jack of Kent joined media folk Robin Ince, Dave Gorman, Nick Ross, Dara O Briain & Alexei Sayle. Apologies if I’ve missed anyone out. Great write-up but it's Tracey Brown from Sense About Science, not King. Thanks Tracy. Serves me right for writing so late at night!